"If you come from that ghetto, all you got is a dream." Showtime has unveiled a trailer for a documentary film titled American Dream / American Knightmare, which will be premiering on the streaming TV service later this month. The film delves deep into the life and storied exploits of iconic Death Row Records co-founder Marion "Suge" Knight Jr., as well as the volatile and highly influential era in gangsta rap he presided over. It's said to be an inside look, with actual stories from Suge himself, about the rise and fall of Death Row Records, and what's next for the future of rap and hip hip. There have been a great number of docs recently on the rap music scene, and its history, mostly found on Netflix (see: Hip-Hop Revolution, The Defiant Ones, Rapture) or other TV channels in addition to festivals. This looks comprehensive and honest. Delves deep into the life and storied exploits of Marion "Suge" Knight Jr., Death Row Records co-founder, as well as the volatile and highly influential era in music that he presided over. With privileged access to those who were with Knight from the very beginning who loved, respected, feared and were inspired by him, we'll be guided through this world by the man himself. Suge will personally reveal exactly how it all happened, why it all fell apart, and what the next chapter holds for one of America's most iconic and mythologized figures. 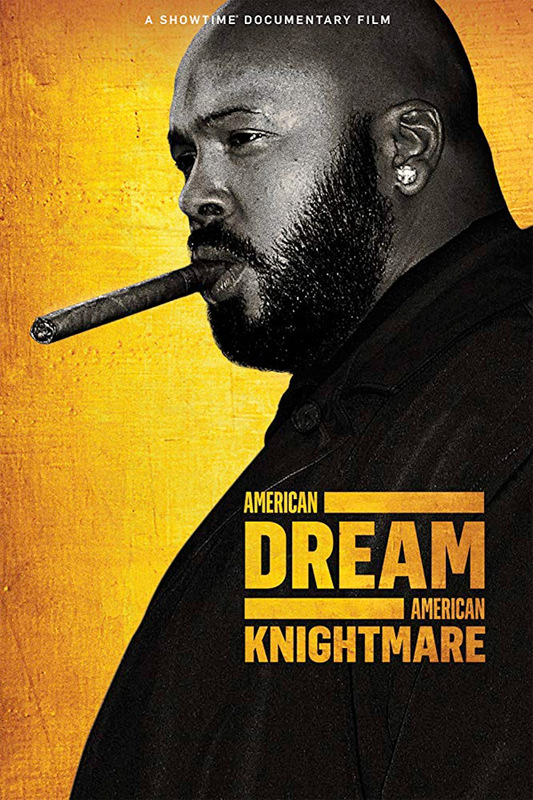 American Dream / American Knightmare is directed by veteran American filmmaker Antoine Fuqua, director of the feature films The Replacement Killers, Bait, Training Day, Tears of the Sun, King Arthur, Shooter, Brooklyn's Finest, Olympus Has Fallen, The Equalizer 1 & 2, Southpaw, as well as The Magnificent Seven previously. This hasn't played at any festivals before. Showtime will premiere the documentary streaming starting on December 21st later this holiday season. Who's interested in in this?